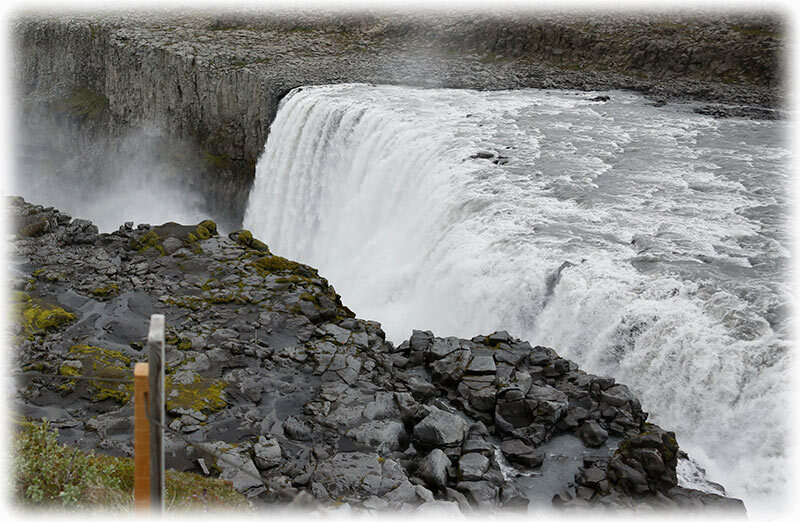 We travel to Dettifoss, Europe’s most powerful waterfall in the northern part of Vatnajökull National Park. 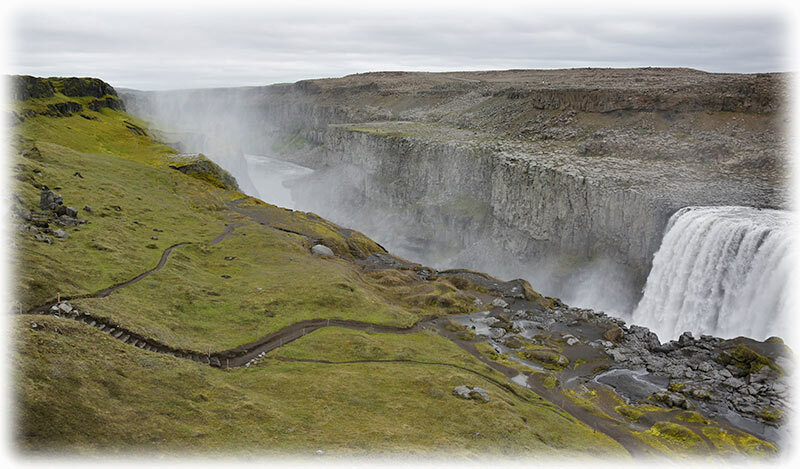 From there we head through the uninhabited highlands to East Iceland. 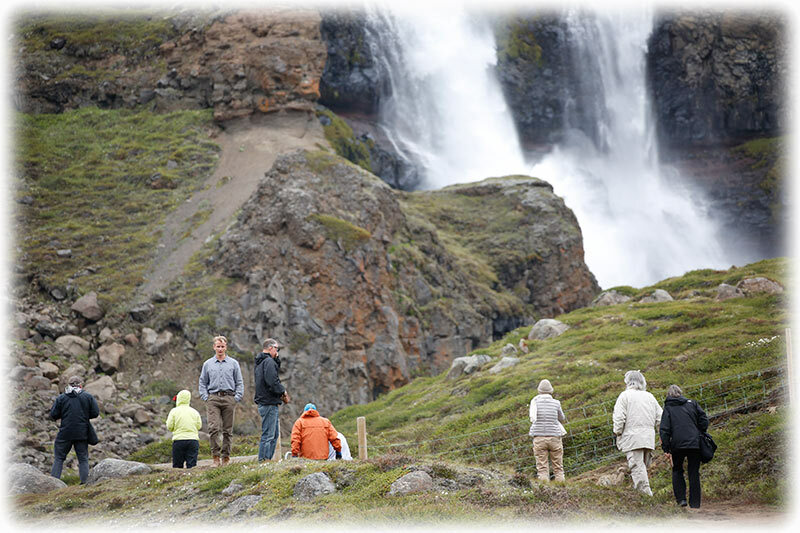 We explore the northernmost fjord on the East Fjord mountain range. The isolated village Bakkagerði has only 120 inhabitants and is a charming village, built snugly next to the steep mountainside. 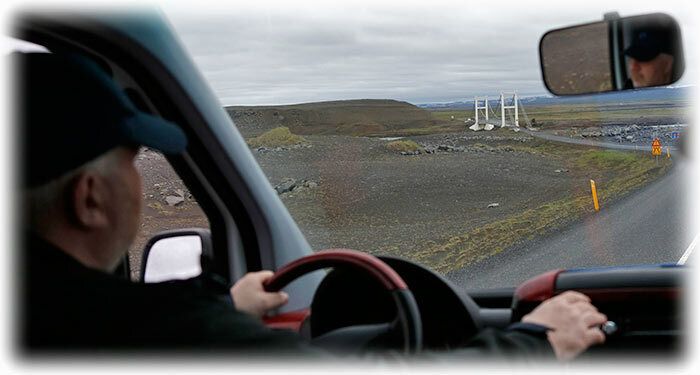 Driving to Borgarfjörður Eystri is dramatic and rewarding. The colorful mountains are simply unique and impressive. 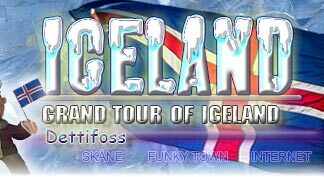 We experience an unusual opportunity to visit a traditional Icelandic fishing village, still relying on small boat fishing. There is an art gallery in the village, displaying the work of Jóhannes Kjarval. He is a wellknown Icelandic painter who grew up in Borgarfjörður Eystri and his home town and its landscape have much influenced his work. 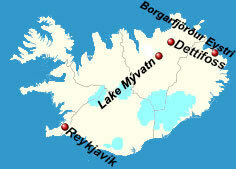 Borgarfjörður Eystri is home to an extensive population of elves – judging by the 172 local folk tales involving elves. On the outskirts of the village is Álfaborg, a protected site where the queen of elves is believed to live within a uniquely shaped rock castle. The elfstories provide a fascinating lecture especially for the younger generation. Wednesday 8th of July 2015 and there was no water for my morning shower. Cold water stopped and it was only steam coming out from the shower head. And it didn't smelled very good. Breakfast, nothing to be impressed about and I skipped breakfast. Yes, I was ready to leave Keahotels, Hotel Gigur in Lake Mývatn never to return again. 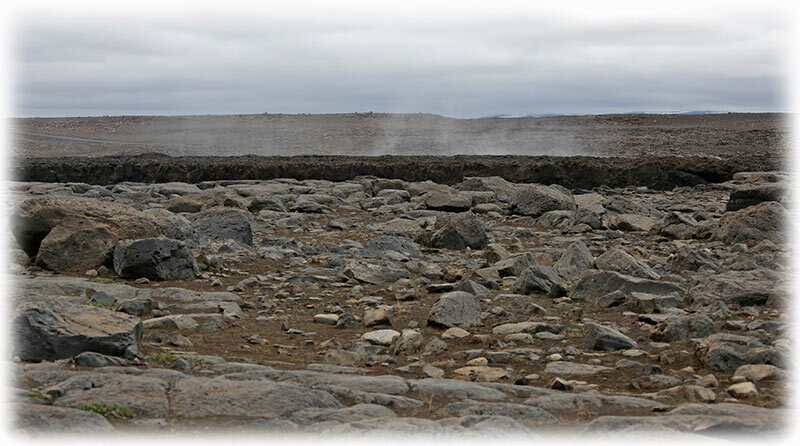 My cold was worse, started yesterday at the Mývatn Nature Baths. And there were several of my fellow passengers that looked like they were getting a cold as well. 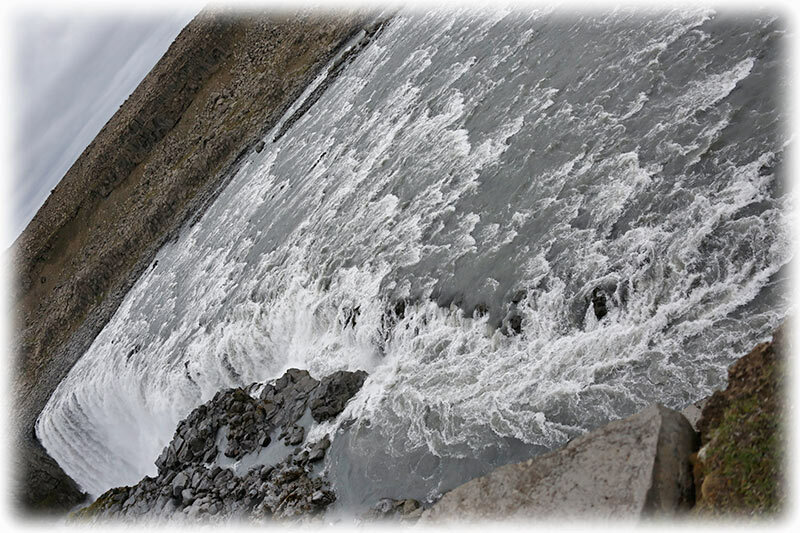 Well, we were soon approaching the Dettifoss and we could see the spray from the fall when we approached. 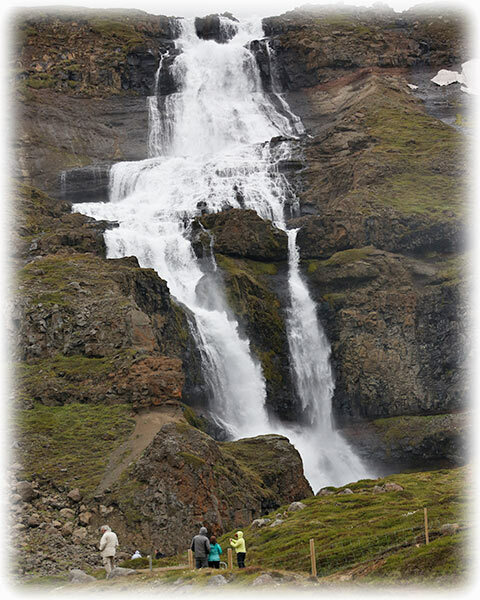 We had to walk for about 10 to 15 minutes to reach the water fall. I was really not feeling good. Not very bad, but I had decided to take it very easy today and stay as much as possible in the bus. So I only spent a short time at the waterfall before walking back to the bus with my new friend from Canada. Our driver was in the bus when we came back and we spent the time chatting while waiting for the other passengers to come back. I was dressed for full winter weather and I really hope I will be better tomorrow. Would have been nice walking around looking at the water fall, but MAN! 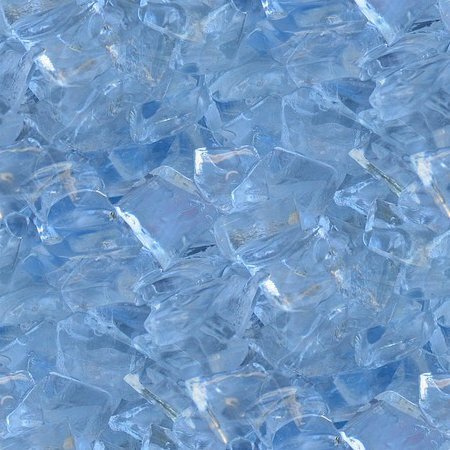 It is cold! 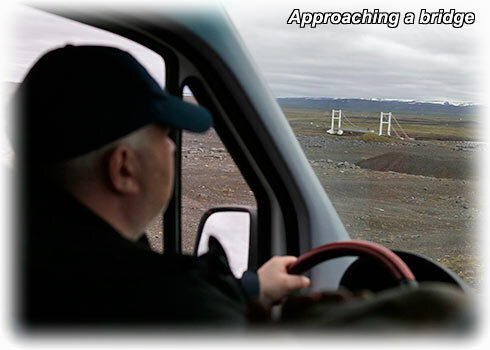 The other passengers were soon back and we continued our drive through the Icelandic landscape. We were soon crossing the first “real” bridge I have seen in Iceland. Otherwise it is only small “one car at the time” only concrete platforms we have crossed. But this one looked like a proper bridge when we approached but as I came closer I saw that it was only a small bridge, but still a proper bridge. We crossed the bridge and our next stop was a farm, the highest located farm on Iceland or something like that. So what's the big deal? A farm, never mind where it was located. I was a little suspect. 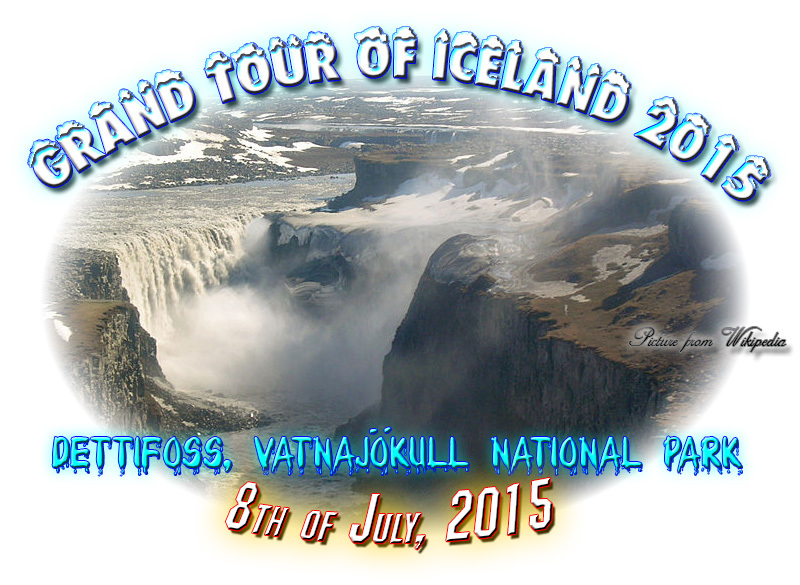 Why sell this attraction as the highest located farm on Iceland. Well, there was a small church and some small houses. Now it was decided that we should have hour lunch here and we would leave in 90 minutes. Well, the church, I took a picture and I went to what I thought was the restaurant. It was a coffee shop and nothing but soup on the menu. I had a cake and I paid 500 Scooby dollars for internet access. Tea, I asked for a big beer mug and the girl told me that they had big beer mugs. I went to the counter and I asked for a beer mug with tea. They guy looked shocked and he told me it would be too much. I gave up the idea and I was back at the table where I shared my internet connection with my new friends from New Zealand. 20 minutes or so and the whole group was in the coffee shop and everyone wanted to leave this place, NOW! 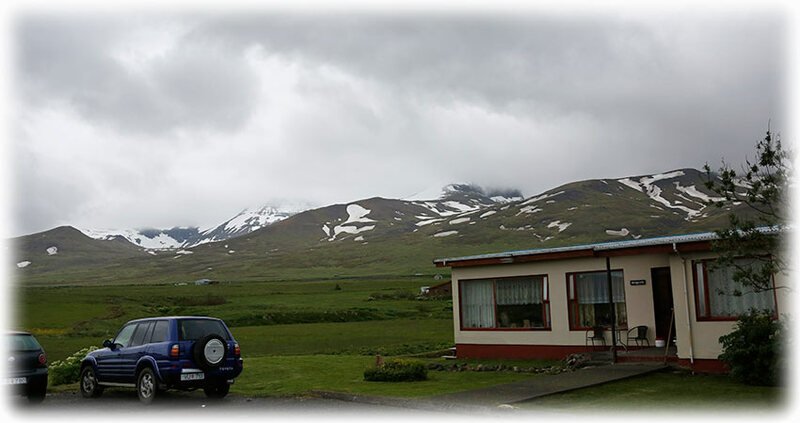 We left this sad place bound for Borgarfjörður Eystri where we will spend the night. We were soon on our way again and I spent most of the time sleeping and I felt better by the hour. We made a stop to take pictures of yet another waterfall. The other left the bus and after a while I decided to go for a few pictures. But I stayed on the road and I was soon back on the bus again. We were outside Borgarfjörður Eystri when I woke up. It was around 2 o'clock in the afternoon and I was surprised to learn that we were going to stay here over night. I knew that we were going to stay at Borgarfjörður Eystri. 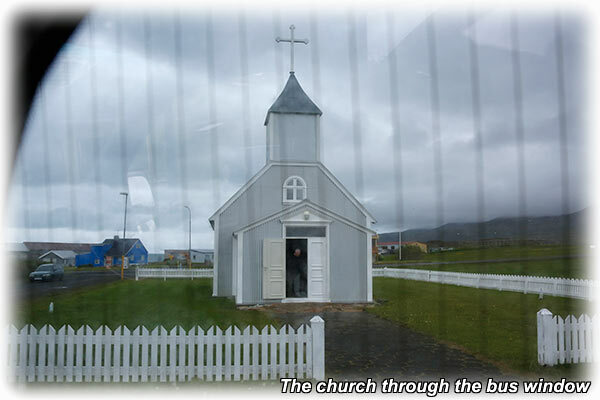 But I didn't know that we were in Borgarfjörður Eystri just by listening to the name. 2 o'clock in the afternoon, so why the foock did we leave so early this morning? They stopped at a small church and the whole group went inside. I stayed in the bus and the driver was soon back. He asked if I needed anything from the drug store. 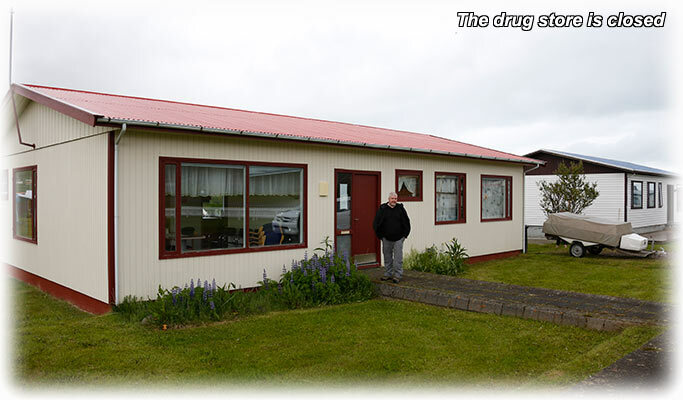 There was a drug store across the road and we walked over. They were closed, they only had open one hour per day 3 days per week. Borgarfjörður Eystri is a fjord in east Iceland. 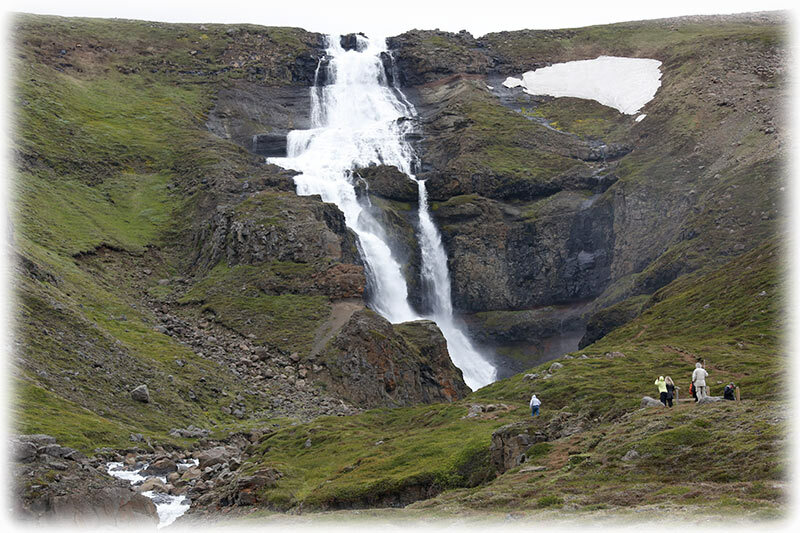 It is part of the municipality of Borgarfjarðarhreppur and, as of 2011, the area has a population of around 100 inhabitants. The main settlement is Bakkagerði. The town derives its name from the Álfaborg (Elf Rock). 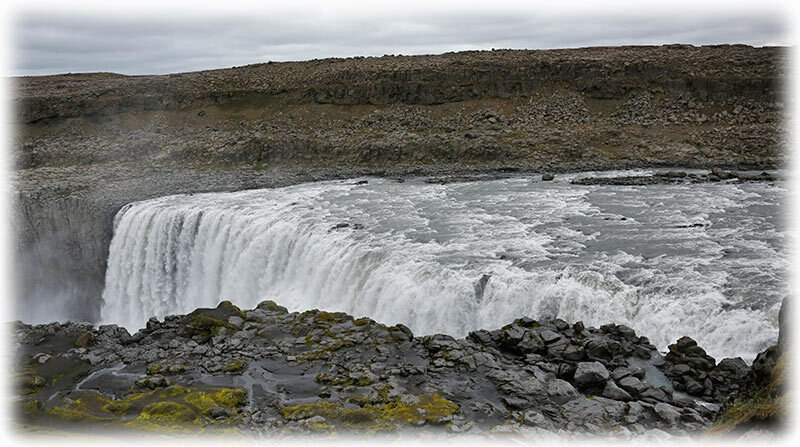 Some of the locals believe that the queen of the elves lives in the Álfaborg. The main attraction for visitors is hiking. Borgarfjörður Eystri is also home to a large puffin colony. Since 2004, a music festival has been put on in the summer, and attracted over 2,000 visitors in the summer of 2009. 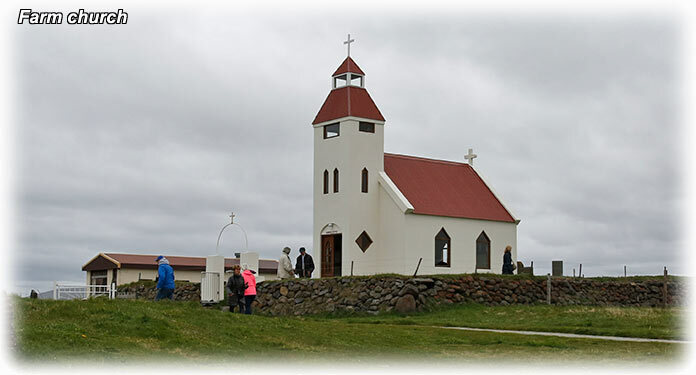 A church in Borgarfjörður Eystri has a painting by Jóhannes Sveinsson Kjarval that depicts Jesus on the cross on an elf hill. The local bishop has refused to bless the painting because of this. Kjarvalsstofa is a museum in Bakkagerði dedicated to the painter who grew up in the area. We were supposed to visit a museum about a painter from the village and we drove around looking for the place. We could not find it and we stopped at a coffee shop. I had some local bread with smoked salmon and tea. The Álfaborg was just next to the coffee shop and the group left to have a look. But I decided to stay with the driver. we had a good time and I received some “bonus” salmon sandwiches. But the best of all was that it was warm and I was feeling better by the minute in doors. We will stay at Álfheimar Country Hotel and they had a transformer for my computer. I borrowed the transformer for a few hours so I could charge my battery and update my web page. It was a nice place and the food I ate was good, but I was soon back in my room as I didn't felt so good. Sleep, I had asked for extra pillows and an extra duvet and I will hopefully feel better tomorrow. We will continue South tomorrow and you just need to click HERE to find out what kind of adventures we will end up in on our road trip.